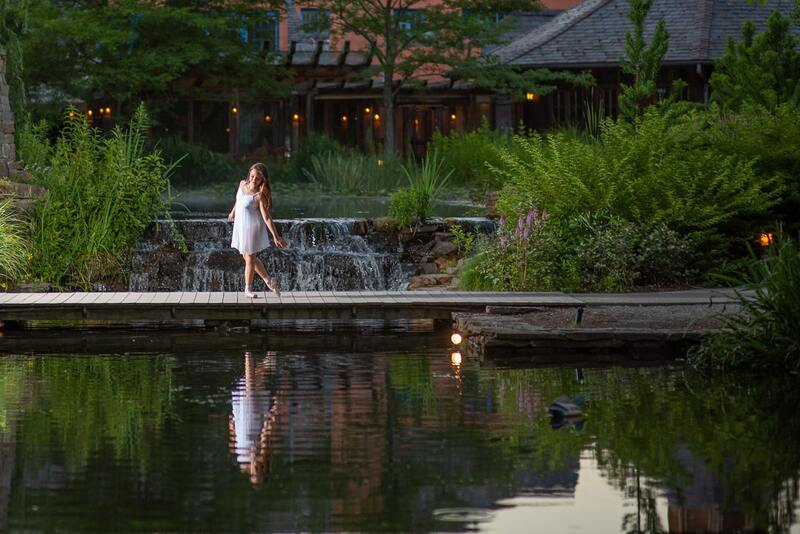 I recently had the privilege of creating portraits for a very talented young dancer at an amazing location. It has been one of my favorite portrait shoots to date. This was my first time photographing at The Grounds For Sculpture in Hamilton, NJ. It has to be one of the best locations I have ever photographed. In addition to the incredible setting, the staff there was equally incredible. Like most places, they have rules about having professional photography but they were pretty reasonable. On top of that, the staff member at the front desk was a great resource of information and helped guide us to some great spots among their 40 acres. Without their help, we wouldn’t have been able to create some of these images you’ll see below. As photographers, I think we have a responsibility to be respectful of the locations we shoot at. Whether it is a private or public location, it’s important that we find out if there are guidelines for shooting there and that when we do hold a photo session, we leave the spot in the same condition as we found it. If we all did that, then more places will be as awesome and cooperative as the staff at Grounds For Sculpture were. Sophia is a ballet dancer at the Central NJ Ballet Theater. 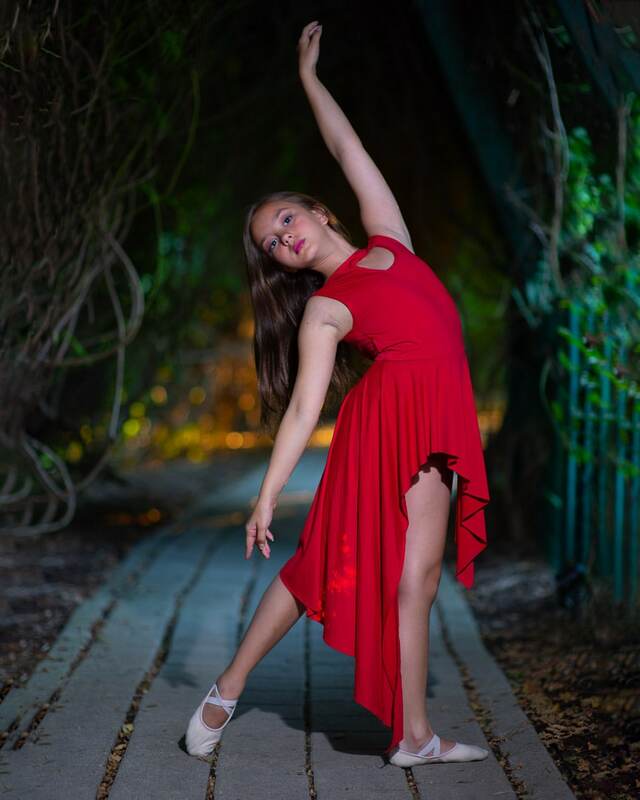 Her and her mom wanted to create some photos to capture her love of dance and also create some lasting memories of this time in her life as she pursues her passion. All of my portrait shoots include a planning session where we talk about what the client wants to get out of the shoot, what their passions are, and what they want to portray in the photos from the shoot. Sophia wanted to make sure we captured her love of dance and how much fun it is for her. So we decided that there would be a mix of more carefully posed images and relaxed fun images of her having fun. One of my favorite images from the session was also one of the first ones we did. you can see it right at the top of this page. It’s the one of her jumping along a bridge that is part of the sculpture called The Nine Muses. It represents the nine muses of classical mythology who presided over the arts and sciences. Perfect setting to demonstrate her art. I’ve shot action portraits like this before and it usually take a lot of trial and error until you get it right. That wasn’t the case as Sophia nailed it on the very first take! Ok, so maybe I’ll take a tiny bit of credit for timing the shot (there were flashes involved so I couldn’t just hold down the shutter for rapid fire and hope), but leaping over a water bridge with form like that and remembering to turn towards the light was impressive on her first attempt! After that we explored as much of the rest of the grounds as we could before the sun went down. We visited a lake with a built in fog machine. We took some photos of her crossing the Monet Bridge, an iconic work at the Grounds. As the sun went down, we even did some cool silhouette images. Sophia and her mom had a lot of fun and the photos turned out great. She certainly has a successful career ahead of her and I am happy that I played a small role in helping her capture the memories of this time in her life as it is just getting started. Here are some of the images we made from Sophia’s portrait session.